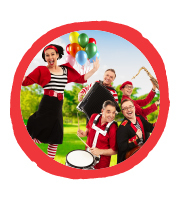 Come and party with stars of ABC KIDS Lah-Lah’s Big Live Band as they celebrate their 10th Birthday at Riverside’s Spot On Children’s Festival. Lah-Lah and the band will be touring their 10th Birthday Party ‘best of’ album through SonyMusic, following their 2017 ARIA nominated release Having Fun. It’s an hour of singing and dancing fun full of Lah-Lah hits and laughs. And don’t forget everyone gets to meet the band, and the instruments, after the show. It’s going to be a great party, and you’re invited!